Yes, you read the title correctly. Studies have shown eating a donut in the morning accompanied with coffee improves your memory. When we wake early in the morning, most of our brains are a bit groggy. It can take awhile for us to fully wake up. You may want to order donuts online, but then you feel guilty because you believe donuts are not a healthy snack. So you eat eggs and sausage with a cup of coffee. Even after this “balanced” meal you eat a meal may notice you are having a hard time paying attention. Your brain does not want to wake up and focus as you begin your day! Well, the answer is simple – Sugar. Most of the time, when you feel you cannot focus is caused by a drop in sugar levels. The last time you ate was the dinner last night. Since that time, sugar levels drop significantly, and your brain and body need sugar to function. You do not need high amounts of sugar, but a bit is healthy for you. Studies shown eating a donut in the morning will enhance your memory and give your brain the power it needs to tackle your day more efficiently than other foods. Imagine sugar as the fuel your brain requires as billions of neurons communicate with each other. These neurons tell your body what to do, how to move, what to say, and much more. It is essential to your life. Sugar produces acetylcholine, which is an important neurotransmitter chemical. This chemical promotes your ability to learn and memorize things. It also regulates mood, your attention span, and how effectively you move. This is why a donut in the morning is an excellent way to feed your brain the energy and sugar it needs to function properly. Please remember we are not saying you should eat a dozen donuts in one sitting. However, having one every morning with a cup of coffee will enhance your memory and attention. Go ahead and order donuts online so you can focus on what’s in front of you at work and remember things better. So the next time your body is craving donuts in the morning, go ahead and give in. Remember to make the right choice and order donuts online with Shipley’s Do-Nuts. We take pride in offering the best donuts in Houston, Texas! You can also stop by one of our two locations. We also offer delicious beignets that are comparable to the infamous Café de Monde in New Orleans. There is a variety of Kolaches, which come in mini snack sizes as well so you can try all the flavors. We are also one of the few to carry the infamous “Big Earl” kolaches. Shipley’s also has great tasting Italian sausage and provolone cheese ones that will always satisfy your appetite at any time of day. Be on the lookout for Boudain kolaches, which is coming soon!! 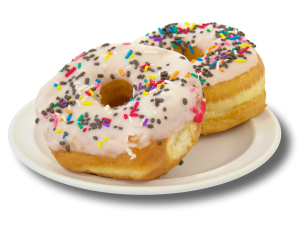 Whether you are looking for donuts for wedding or a corporate event, make sure to trust Houston’s best. You can call Shipley’s at (713) 651-3033 or order donuts online here. When you stop by, ask the staff what menu item is their absolute favorite!